Her Majesty The Queen has been witness to many astonishing changes that have taken place during the sixty years of her reign. 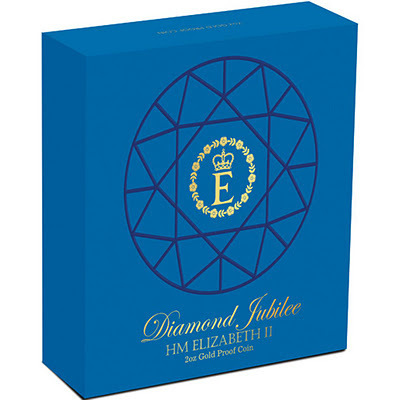 This spectacular, extremely limited release celebrates this historic anniversary. 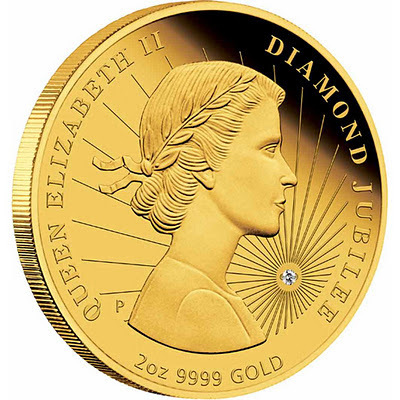 The coin is struck by The Perth Mint from 2oz of 99.99% gold in proof quality. The 2oz gold coin’s reverse features the original Mary Gillick uncrowned effigy of Her Majesty Queen Elizabeth II and a sparkling diamond set against a background of sunrays. The inscription DIAMOND JUBILEE and the dates 1952 - 2012 are also incorporated into the design. No more than 60 coins worldwide will be issued by The Perth Mint. 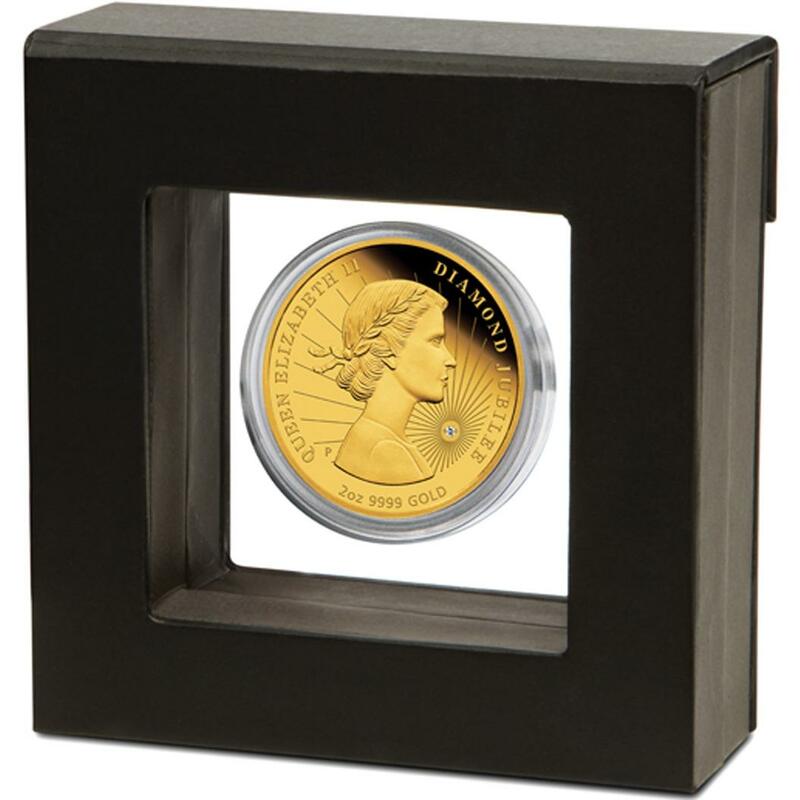 The coin is presented in a prestigious display case with a superbly illustrated shipper and accompanied by a numbered Certificate of Authenticity.